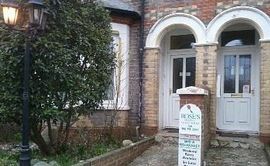 Roses is a warm and welcoming guesthouse situated in peaceful surroundings within the area of Reading. The Guesthouse location offers the convenience of being only a five minute drive from the M4 and a short walk from the town centre. 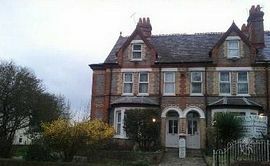 Near to the train station(2 miles), hospital, business parks and University. Reading itself offers one of the best shopping centres in the South of England, The Oracle, home to many shops, multiplex cinema, bars and restaurants. Private parking can be found at the rear of the Guest House at no extra charge. If you wish to leave your car behind, there is a frequent bus service to and from most parts of Reading every 10 minutes. The bedrooms are designed to provide the comfort you require for undisturbed sleep by night, as well as the facilities and entertainment that you demand by day. 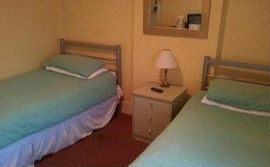 You can choose from a variety of different rooms, single, twin triple, many of which are en-suite. All rooms have televisions and tea and coffee making facilities ensuring that your stay is relaxing and hassle free. These lovely rooms, which have bright and contemporary furnishings, give out a warm and inviting atmosphere. Start the day as you mean to go on with our breakfast buffet service. 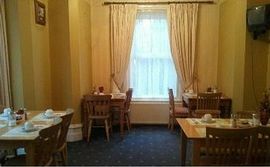 Our chef will cook up a mouth watering full English breakfast or Continental if desired. Long stays and Special weekend rates are available on request. Please see the contact details below or the link above for more information. Follow signs towards the A33 and the Madjeski Stadium. After the second roundabout you will see the Reading Gate Retail Park. Go straight on until the next roundabout. Turn right onto Rose Kiln Lane and at the end bear left on to the Basingstoke Road. We are half a mile up and to the left. Take the M25 and join the M4, heading West.